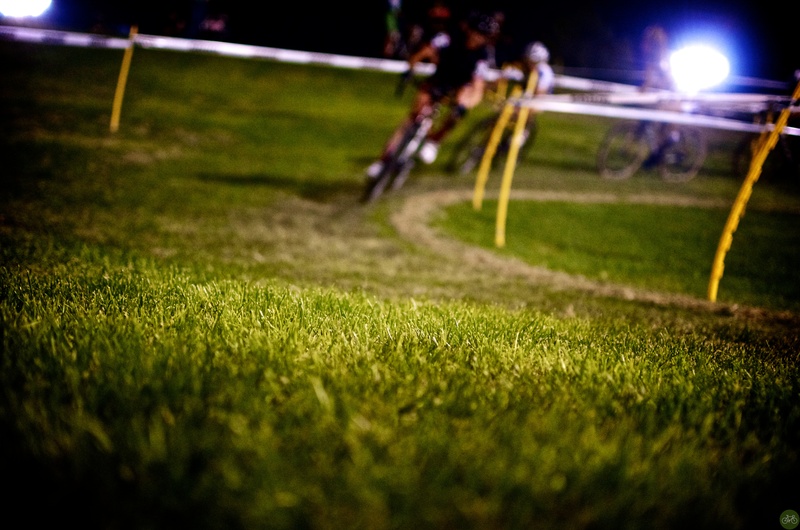 Racing on the grass at CrossVegas is like pedaling your bike across wet concrete. You sink into it down to the rim. The effort you’re used to putting out is reduced by say 20, 30, and then by the end of the race 100%. Some are running street tires at 80 PSI and others want the low-pressure grip for the tight turns and transitions. I was racing a Redline Single Speed built up just for this race in the Wheelers and Dealers category. On the warm-up lap, the seat rails broke, and I was corralled into the starting grid with 156 other starters. I had some time to rush out to the team van, bang on the doors, and swap saddle/post but would lose my 8th row starting position. I decided to stay in line and ride straight to the pits. As I turned towards it, the SRAM mechanics yelled, “here’s your bike” and I did a bike change like a PRO! Well, that was f’ing cool. The USCF official had told them I was coming. Not as cool was the bike had some whack seat with a long nose on it that grabbed my shorts, as I remounted. A dangling nutter resulted in front of the gauntlet crowd and I was much more careful for the next remount. On the next lap, I returned to the pit for another PRO! bike change and back into the race on the Redline with a replaced saddle. Knowing I was off the pace now and in the back, I listened to where the finishers were, eased up a bit and waited. 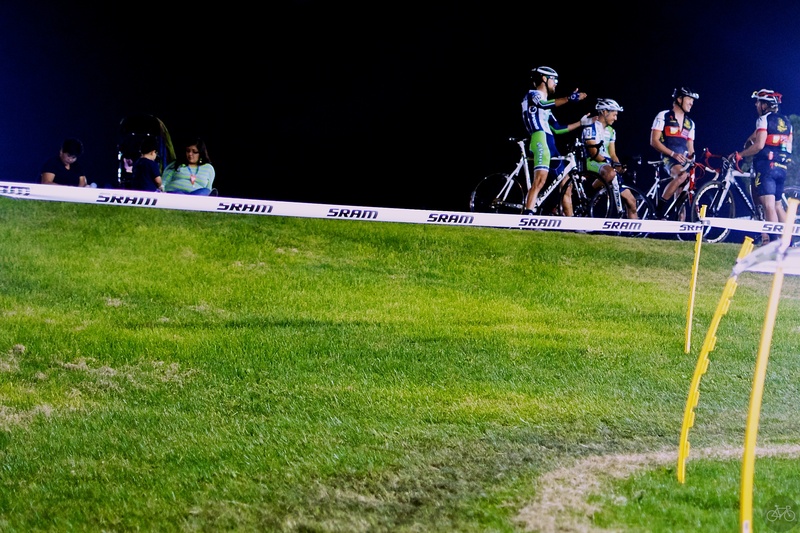 Then powered through stragglers back into a respectable finish a lap down on the leaders in the Single Speed Category. I was in the pack somewhere overall. After changing out of my kit, took photos of the Womens Race and packed the camera up to watch the Elite men in the VIP area. 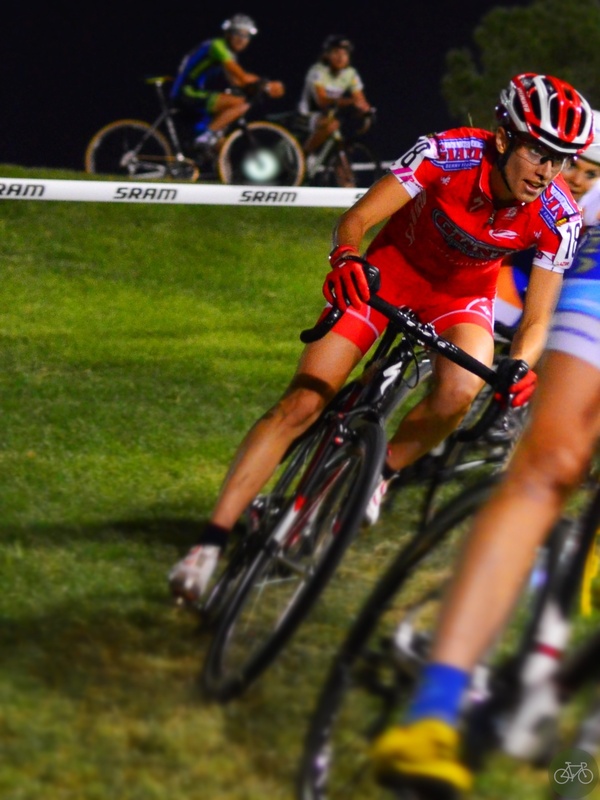 As I wrote in my first post about CrossVegas 12, it’s the best show in the bike business. Many reasons for that, including the industry letting their hair down for a night, but the main one is the crew that runs it. 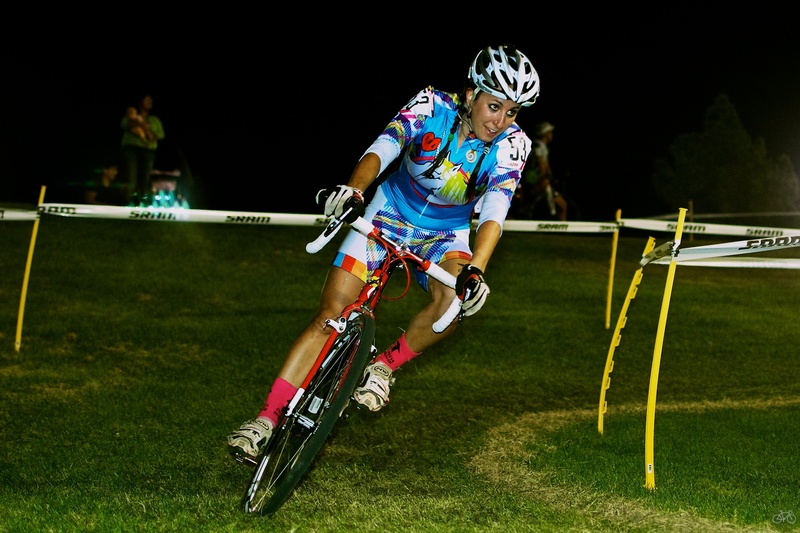 See how the Pros raced in super slo-mo. More photos in high-rez and lightboxed on G+.